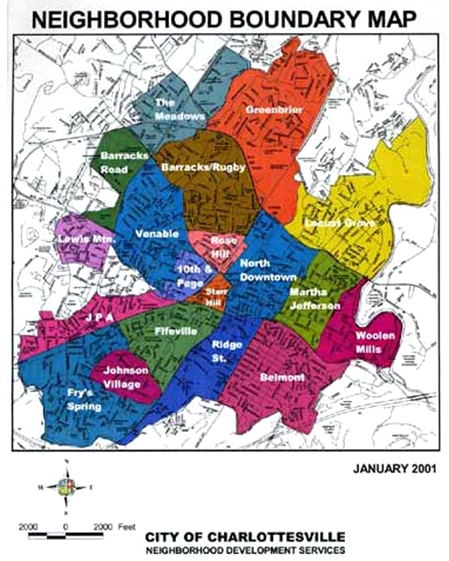 Commanding the highest median home value in Charlottesville, Venable spans from Barracks Road shopping center to UVA’s Main Campus to Washington Park. While walking along Rugby Road from Preston Avenue, it becomes abundantly obvious as to why it has such high home prices. Here you see gorgeous homes with fascinating architecture. As you continue further south, the neighborhood quickly becomes dominated by student housing, and fraternity and sororities. Venable’s central location and easy walkability has aided the neighborhood’s home values to see strong and consistent growth since bottoming out in 2011-2013. Venable’s prices have a compounding annual growth rate of 4.2% from the beginning of 2013 to 2017. The average single family long-term rental is $2,662 a month, giving Venable an average Price-to-Rent Ratio 15.8. Venable is in the middle of it all. A short walk to the Barracks Road shopping center and a mile and half from the Downtown Mall, it provides the perfect home base for vacationers visiting Charlottesville. The large homes and proximity to UVA’s main campus makes Venable a good fit for families looking to rent a home during UVA’s graduation. Nightly rental rates during peak demand weekends can reach well above $1000 for larger residences. If you are looking for help in listing and marketing your home, contact us at Guesthouses!